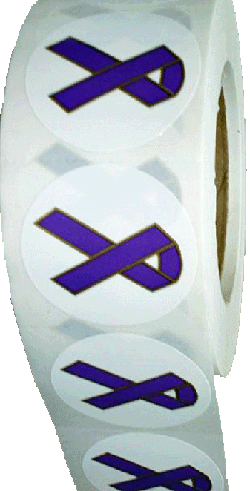 STICKER SALE!- Purchase any three or more rolls of our Domestic Violence Awareness Stickers for only $48.95 per roll of 1,000 stickers. 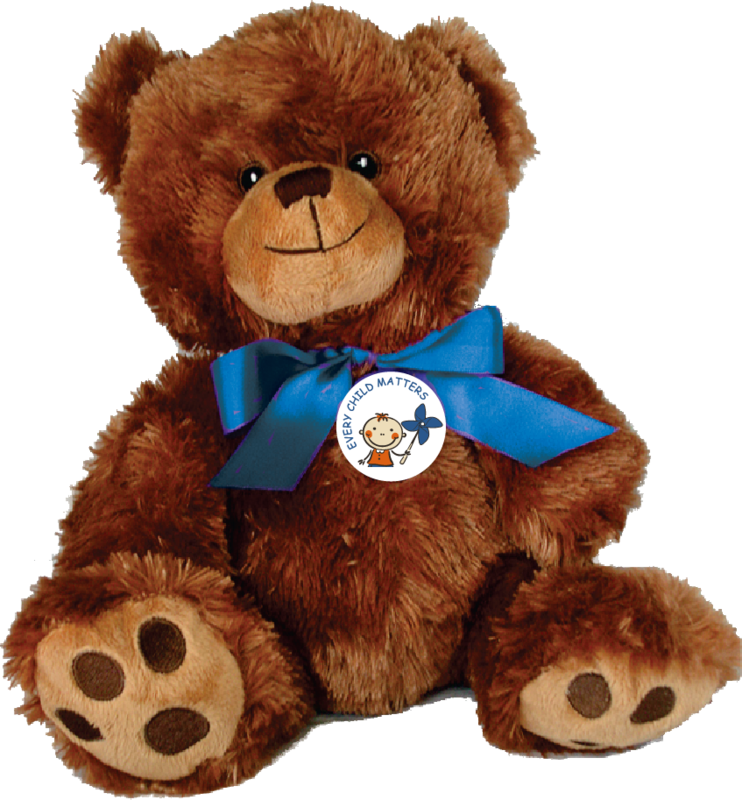 Price includes a 10% quantity discount …*SEE OUR FREE POSTER OFFER! 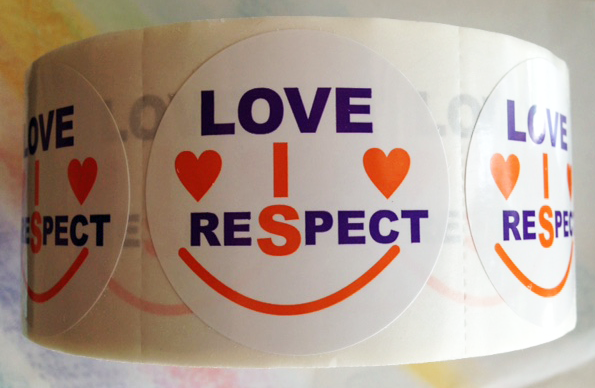 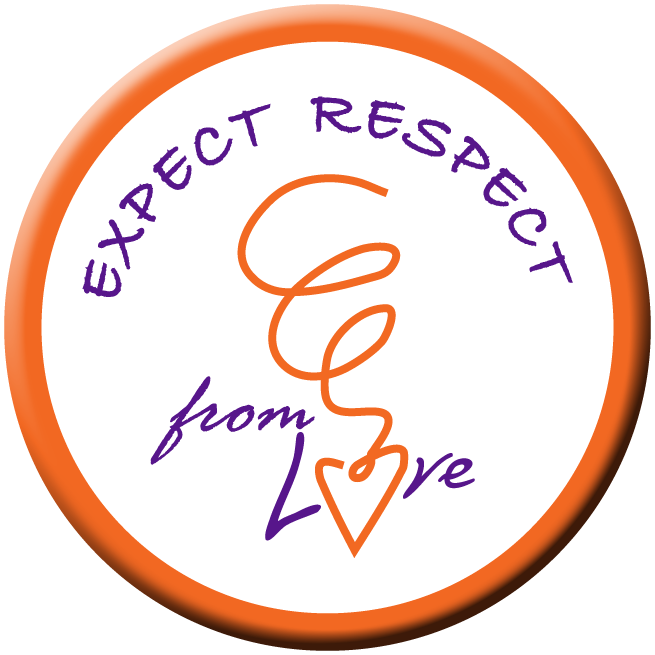 "EXPECT RESPECT" Roll of 1000 stickers only $53.95. 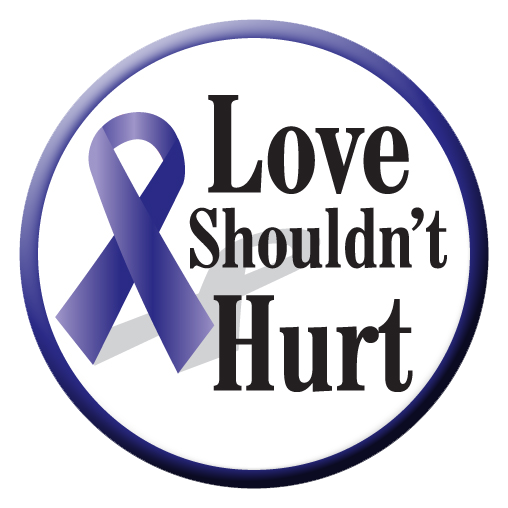 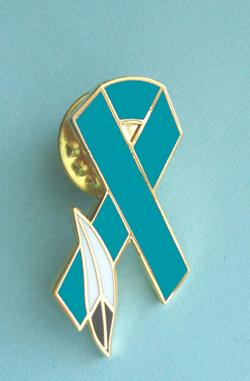 Special sticker sale on all our Teen Dating Violence Awareness themed stickers. 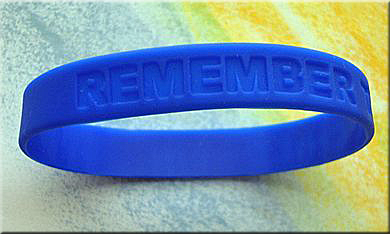 See info page for details. 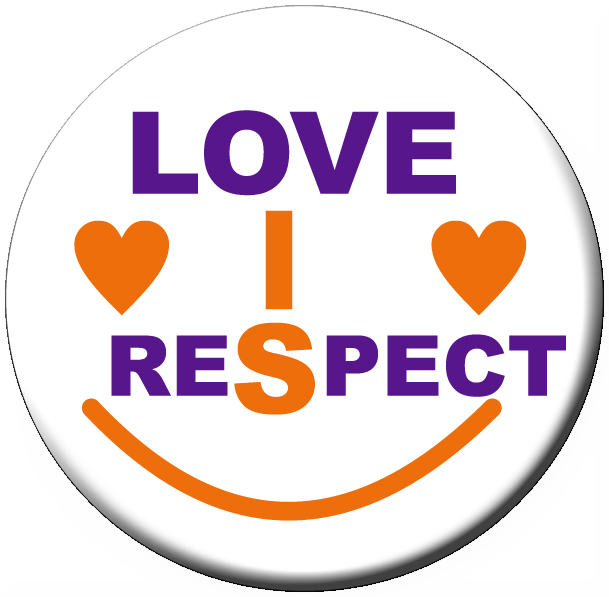 "LOVE IS RESPECT!" 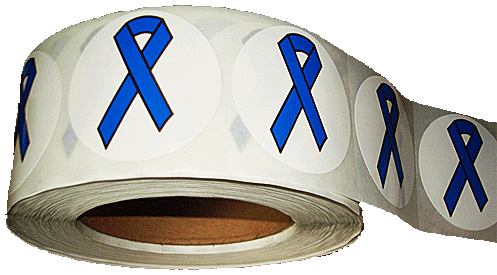 Roll of 1000 2" stickers only $53.95. 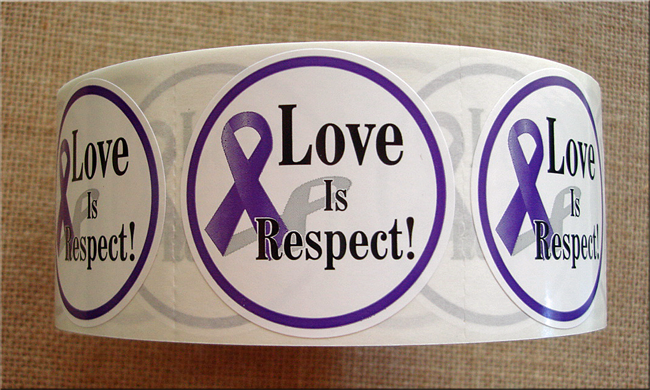 Special sticker sale on all of our Teen Dating Violence Awareness themed stickers. 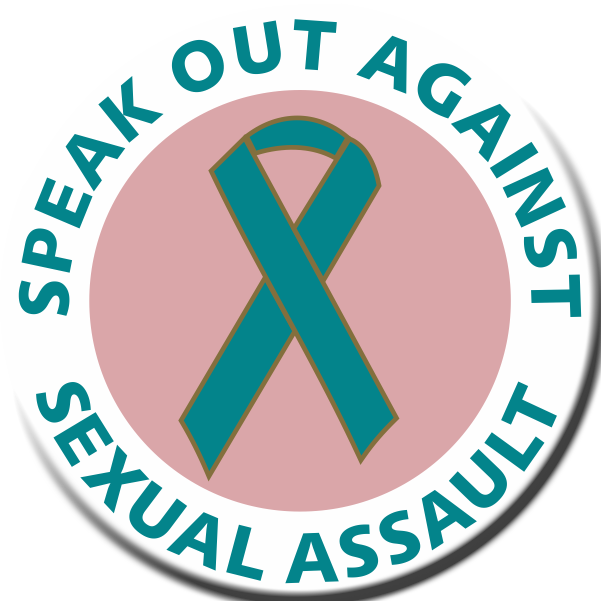 *See info page for details. 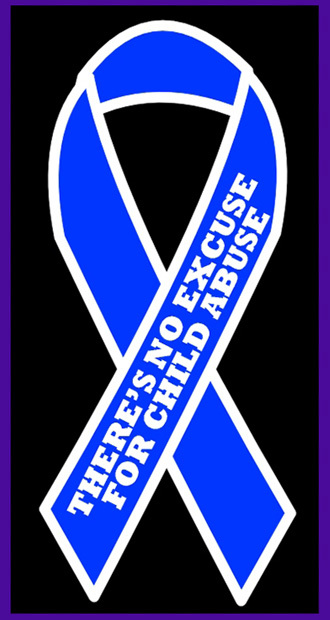 2" Sticker with Purple Ribbon imprint. 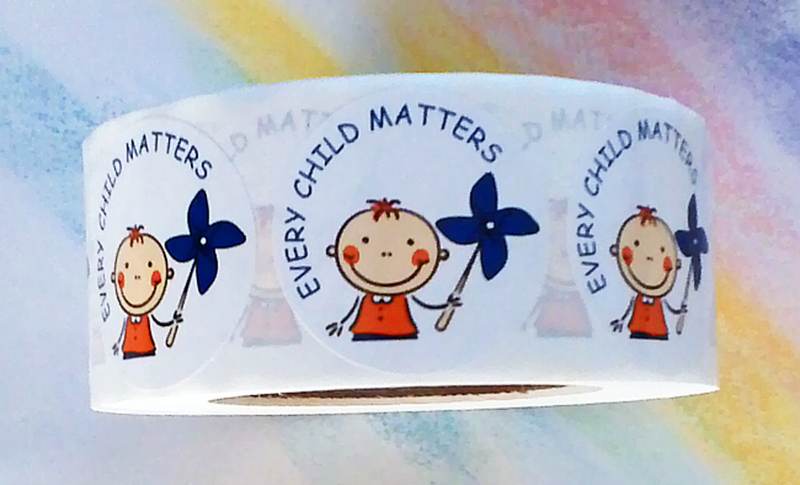 Individually perforated for easy use. 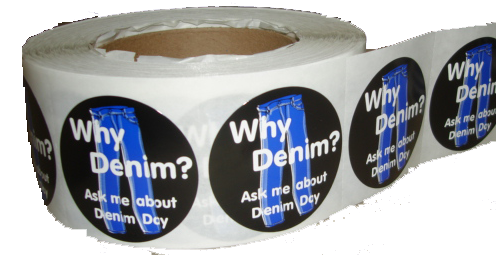 Only $53.95 per roll of 1,000 stickers. 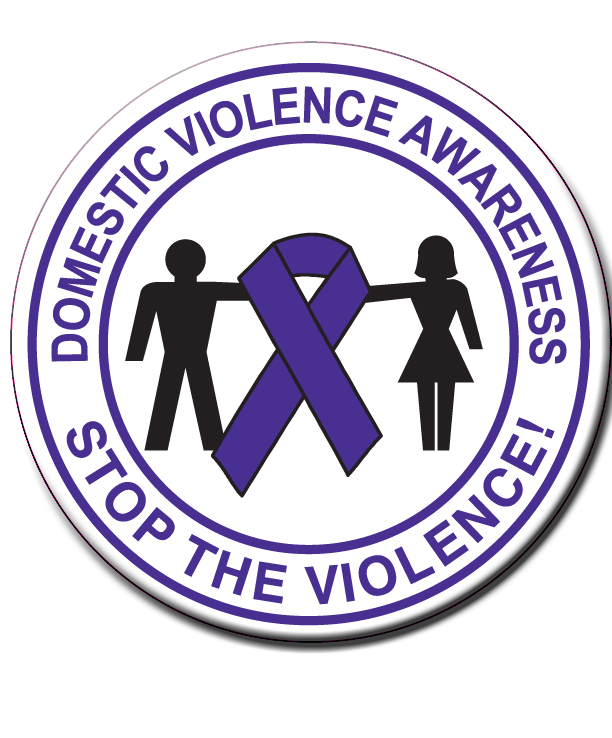 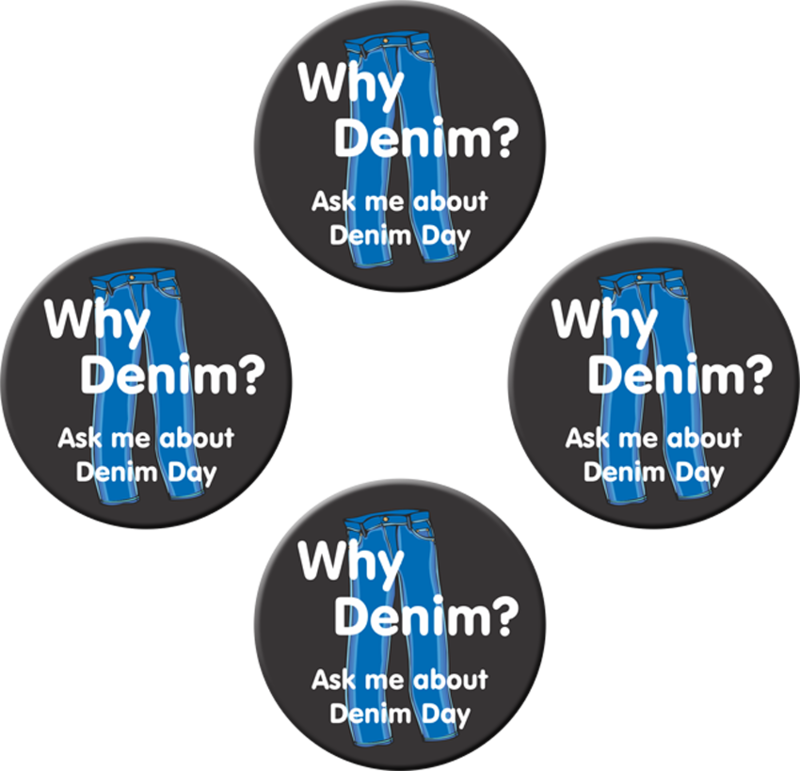 *See info page for our DV sticker sale. 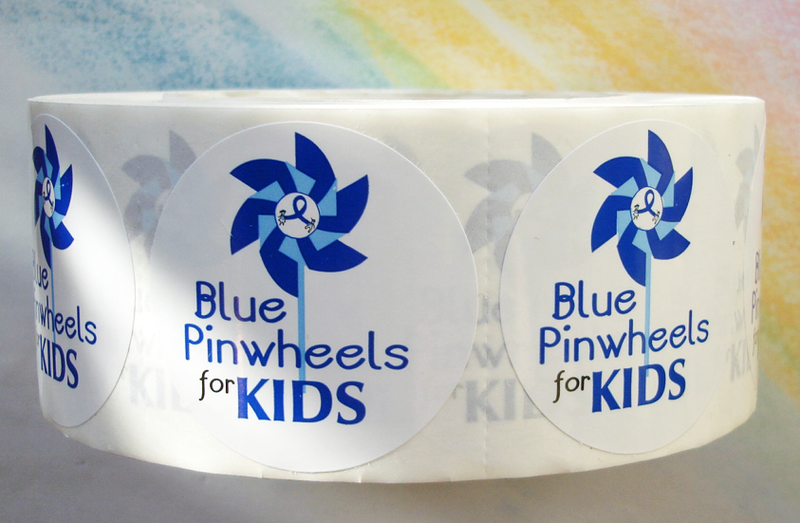 Roll of 1000 stickers only $53.95. 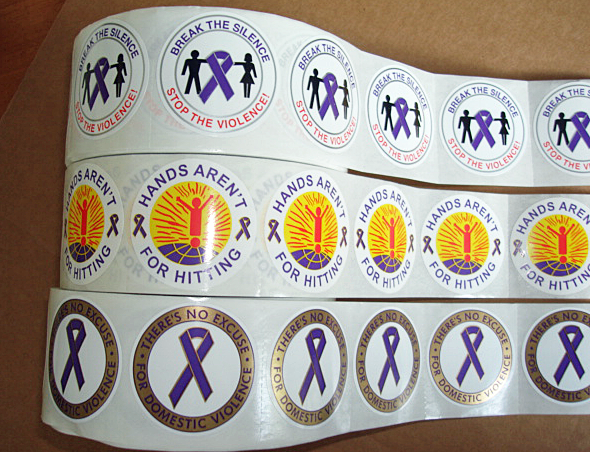 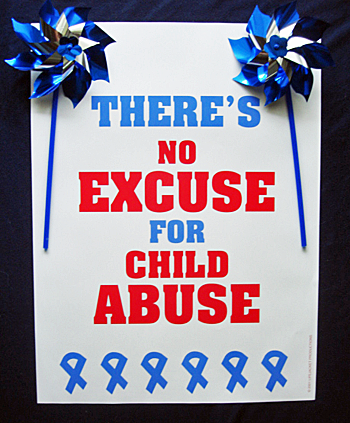 Special sticker sale on all our Domestic Violence Awareness themed stickers. 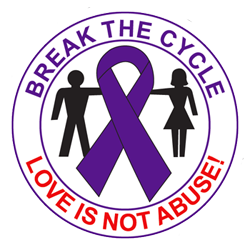 See info page for details.